Grease fitting thread adapters convert the 1/8″ NPT thread on our grease extension hoses to other common thread types. Our grease extension hoses come with a 1/8″ NPT male thread on the bearing end of the hose. 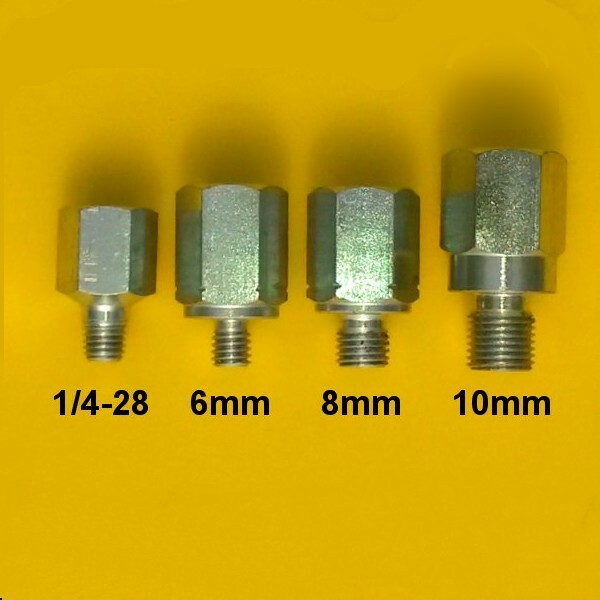 This 1/8″ thread will fit many grease ports without needing a thread adapter. However, there are other common grease port threads that are not 1/8″ NPT. 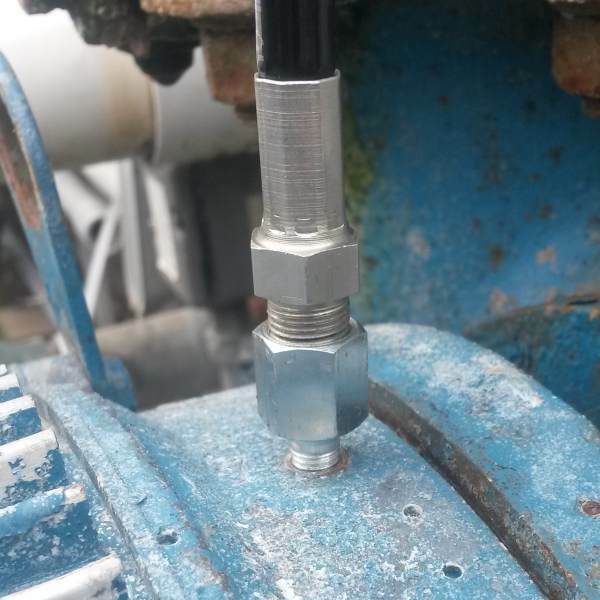 These grease fitting thread adapters will allow our grease extension hoses to be used with those other grease ports. The two most common grease port threads are the 1/8″ NPT thread (already part of our grease relocation hoses) and the 1/4″-28 thread. These two threads are used on the majority of bearing grease ports in the US. Metric threads and British Standard Pipe threads are less common but are found in many applications. Thread Adapters are galvanized steel.